Rav Tendler was a son of Rav Isaac Tendler, a talmid of Radin in Europe. When he came to America, Rav Isaac learned at Yeshivas Rabbeinu Yitzchok Elchonon on the Lower East Side near the Tendler home and eventually took the position as rov of the Kaminetzer Shul. As a child and teen, Rav Yosef was a student at Rabbi Jacob Joseph School in New York from first through 12th grades. After high school, Rav Tendler attended Yeshiva University in Washington Heights. He was placed in a level where one could aspire to enter the shiur of Rav Yoshe Ber Soloveitchik the following year. In order to prepare himself, Rav Tendler decided to do some “enrichment” during the summer. With two friends from YU, he went to learn at Bais Medrash Govoah in Lakewood. He had no intention of staying and, in fact, had re-registered for the next term at YU. When he came to take leave of the rosh yeshiva, Rav Aharon Kotler, at the end of the summer of 1950, Rav Aharon asked him to come back to Lakewood for Simchas Torah, to which he agreed. He was so uplifted by the ruach of that Simchas Torah that he decided to stay for one year. During the Hakafos, Rav Elya Svei took Rav Tendler to Rav Aharon and asked the rosh yeshiva to tell him to remain in Lakewood. In 1950, when Rav Tendler was in Lakewood, the yeshiva had approximately 40 bochurim and 20 yungeleit. When Rav Tendler left Lakewood eleven years later, there were approximately 60 bochurim and 40 yungeleit. Some of the other Lakewood talmidim in Rav Tendler’s time included Rav Meir Hershkowitz, rosh yeshiva of Yeshiva Bais Binyomin of Stamford; Rav Chaim Epstein, rosh yeshiva of Yeshiva Zichron Meilech; Rav Yankel Schiff, son-in-law of the Brisker Rav; Rav Yisroel Meir Kagan and Rav Yitzchok Wasserman, roshei yeshiva of Yeshiva Toras Chaim of Denver; Rav Yaakov Schnaidman and Rav Chaim Bressler, roshei yeshiva of Yeshiva Bais Moshe Scranton; Rav Yechiel Perr, rosh yeshiva of Yeshiva Derech Ayson of Far Rockaway; Rav Meir Stern, rosh yeshiva of Yeshiva Gedolah of Passaic; Rav Moshe Hillel Hirsch, rosh yeshiva of Yeshivas Slabodka in Bnei Brak; and Rav Yitzchok Feigelstock, rosh yeshiva of Mesivta of Long Beach. After his second year in Lakewood, Rav Tendler went to Rav Aharon to discuss leaving the yeshiva, as he wanted to return to Yeshiva University to get a degree. It was almost unheard of in those days not to get a college degree for reasons of parnassah. Rav Aharon said to Rav Tendler, “How can you rely on the seichel of a teenager to decide your future? I am older and have more experience in life. Rely on me.” And Rav Tendler stayed on. Rav Aharon was Rav Tendler’s shadchan. One day, Rav Tendler was sitting and learning in the bais medrash and he noticed a gentleman looking at him. This guest was walking around, but Rav Tendler sensed that he was observing him. That turned out to be Rav Tendler’s future father-in-law, Rav Menachem Perr, who was friendly with Rav Aharon and Rav Yaakov Kamenetzky from their days in Slabodka. When he came to America, he learned at Yeshivas Rabbeinu Yitzchok Elchonon on the Lower East Side under the Maiseter Illuy, and he later served as rov in South Ozone Park, near Kennedy Airport. Rav Tendler learned in kollel for more than three years and then left because he ran out of money. He went to Rav Aharon, who told Rav Tendler that he should apply to teach the 5th grade at Bezalel Hebrew Day School in Lakewood and that, if he was hired, he should still come learn in the yeshiva in the afternoon and receive the $40 kollel check. Rav Tendler applied but someone else was hired. In 1961, Rav Aharon sent Rav Tendler to apply for a 6th grade position in Asbury Park with the same stipulation that he could continue in kollel while teaching in the morning. That also didn’t work out. A couple of days later, Rav Dov Schwartzman, Rav Aharon’s son-in-law, went to Rav Tendler and said that he had gotten a call from Rav Yaakov Weinberg that Yeshiva Ner Yisroel was seeking in a rebbi to teach 12th grade. The mechinah had been founded in 1957 and there had been a turnover of menahelim every year. After teaching 12th grade for one year, Rav Tendler was asked to teach the first shiur in the yeshiva. At that time, Rav Weinberg asked Rav Tendler to suggest someone to teach his 12th grade shiur. Rav Tendler called one of his chavrusos in Lakewood, Rav Moshe Heinemann. He told Rav Tendler that he had enough money to last one more year in kollel and felt that he had no right to leave Lakewood, where he was gaining so much. Consequently, Rav Tendler called another of his chaveirim in Lakewood, Rav Nosson Nussbaum, and proposed that he come to teach the 12th grade in the Ner Yisroel mechinah. He went for a “probeh” and was given the position. In 1964, having gone through seven menahelim from 1957 to 1964, Rav Weinberg, with the haskamah of the rosh yeshiva of Yeshiva Ner Yisroel, Rav Yaakov Yitzchok Ruderman zt”l, asked Rav Tendler to become the menahel of the mechinah and also to teach one of the 12th grade shiurim . 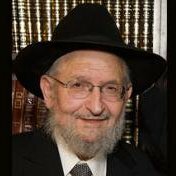 Rav Tendler spent the ensuing decades – over 45 years – wholly devoted to the yeshiva, inspiring generations of talmidim and imparting the lessons learned from his rabbeim. Among his many achievements was founding Pride of the Farm when he identified a need for cholov Yisroel products. He took great pride in it and offered his guidance and expertise for years without remuneration.